Have you ever played Super Meat Boy? We first discovered it when we watched Indie Game: The Movie. It has a very Super Mario-style of play, except that the main character is a small meat cube who has no skin. Everywhere he jumps he lives a squidgy muddy blog of goo behind. And as much as I hate save-the-princess story lines, this one is cute: he's trying to find Bandage Girl, you know, because he needs her. They need each other. D'awwww. 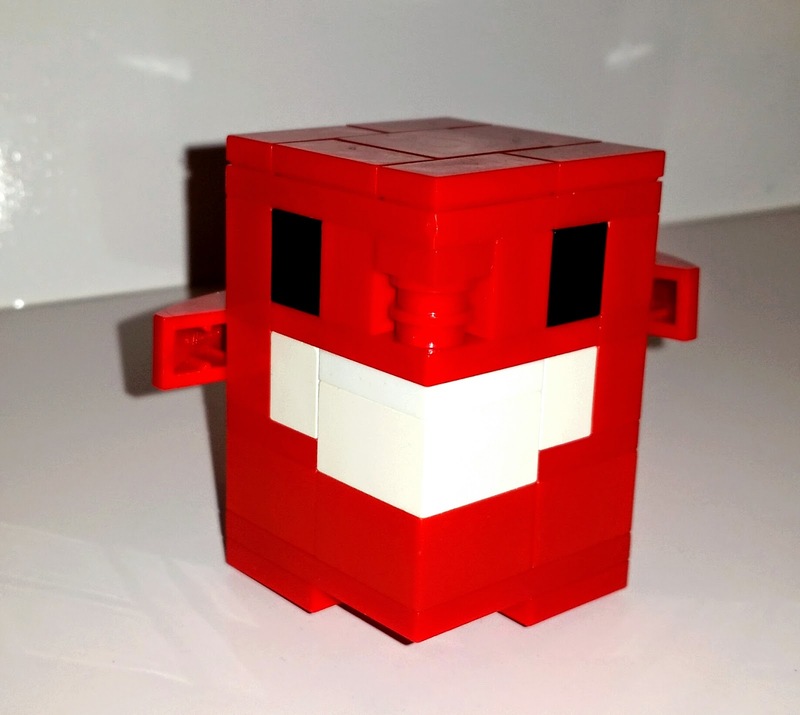 So, today's build is Super Meat Boy!